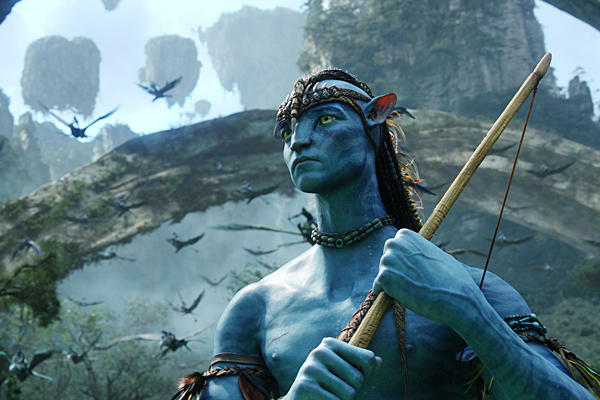 James Cameron Wants to Make 4 ‘Avatar’ Films!!! I guess we won’t be getting that sequel to ‘True Lies’ anytime soon, because James Cameron will only be making ‘Avatar’ films. He doesn’t even want to produce any other films. He just wants to make and possibly live in the world of ‘Avatar’. The New York Times did an interview with Cameron over the weekend, and he had confirmed that he was going to make at least three more ‘Avatar’ films. Read the full interview HERE, to read who inspires him and what he thinks of film these days. Interesting article. But I do believe that he said all he needed to say with the first ‘Avatar’. James Cameron’s ‘Avatar’ Sequels Will Have Sigourney Weaver Returning!! ‘Avatar’ Sequels To Include Underwater Performance Capture!!! James Cameron Says He Wants to Make a Sequel to ‘Prometheus’!!! James Cameron Brings Us Up-To-Date On All ‘Avatar’ Sequels!!! This entry was posted on Monday, May 7th, 2012 at 4:51 pm	and is filed under Film, News. You can follow any responses to this entry through the RSS 2.0 feed. You can skip to the end and leave a response. Pinging is currently not allowed. « ‘The Avengers’ Box Office Total and Counting!! !